Nomi Chi is a tattooer and visual artist currently residing in Vancouver, Canada. 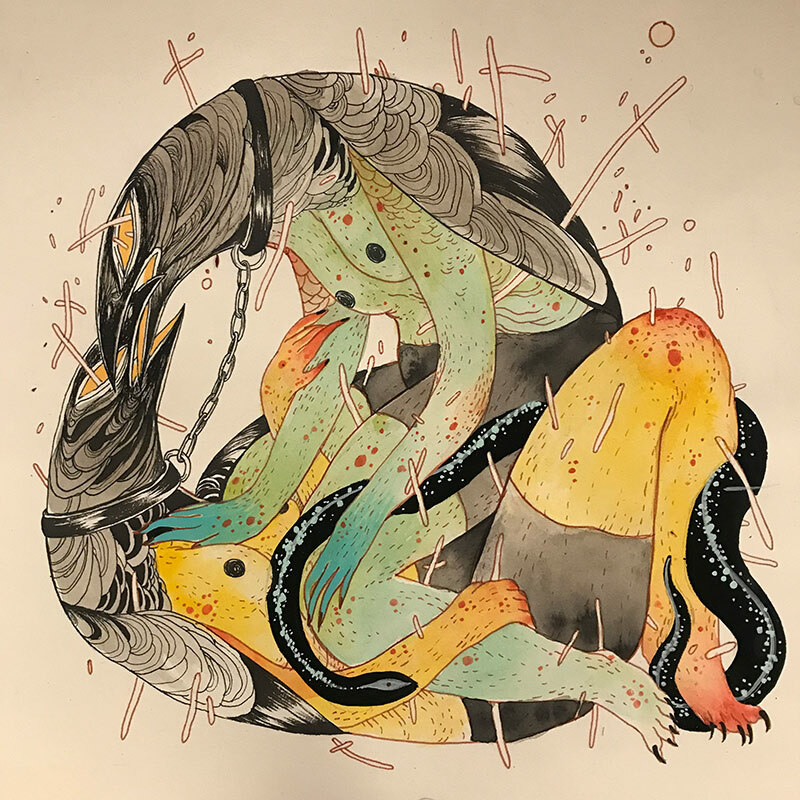 She holds a BFA in illustration from Emily Carr University of Art & Design, and is currently a resident tattooer at Gastown Tattoo Parlour. 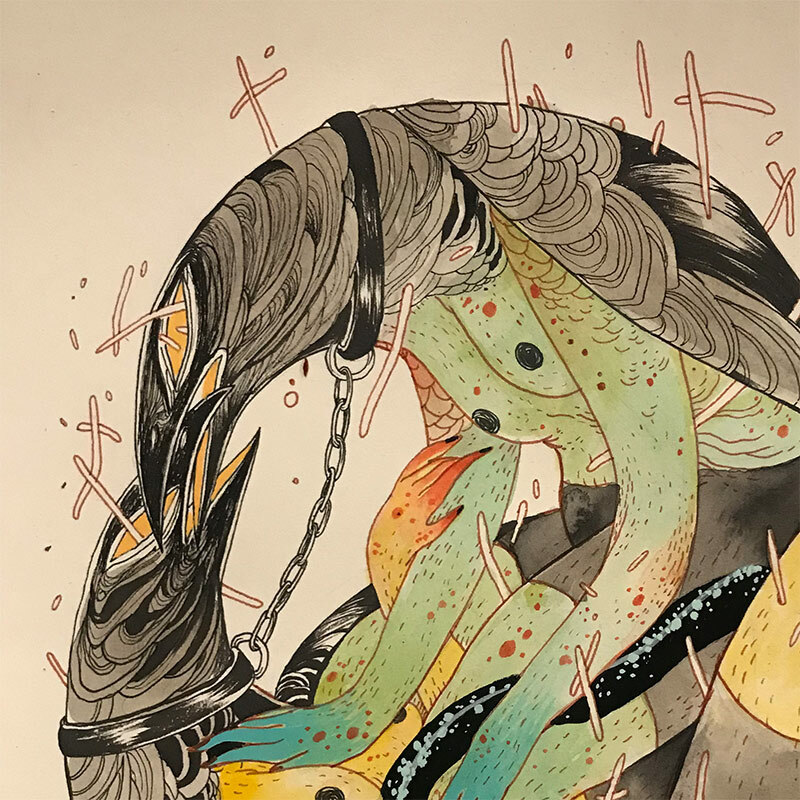 Chi’s figurative imagery brings together her interests in sexuality, ritual, and the search for identity and explores notions of power relations and the ontological distinctions between individuals through her stylized symbolism and animal/human hybirds.